>Can a Continuous Coverage Requirement Produce a Healthy Insurance Market? Regardless of how the Affordable Care Act is changed, Republican leaders appear likely to eliminate the individual mandate, which requires people to purchase health insurance or pay a tax penalty. At the same time, proposed reforms retain the consumer protections in the ACA that prohibit insurers from denying coverage for pre-existing conditions. As an alternative to the individual mandate, several Republican proposals preserve the ACA's protections for people with pre-existing conditions—but only for policyholders who maintain continuous coverage. Like the individual mandate, a continuous coverage requirement is intended to discourage individuals from waiting until they become sick to purchase insurance. Such a requirement has teeth because individuals who let their coverage lapse risk being denied coverage in the future. When they attempt to re-enter the market, insurers can charge higher prices, withhold coverage of specific health conditions, or deny coverage altogether. Compared to the limited penalties imposed by the individual mandate, the financial penalties and loss of consumer protections for pre-existing conditions may provide a much stronger incentive to purchase insurance. Economic intuition suggests that an insurance market based on a continuous coverage requirement could perform well, but there is little direct evidence on how well it might work in practice. Designing a replacement for the ACA poses a number of challenges for policymakers. Not all coverage lapses reflect deliberate choices. One issue lawmakers will have to confront: Not all coverage lapses reflect deliberate choices. Policyholders who fail to pay their health insurance bills on time (or whose insurers make a mistake in billing or payment processing) are lumped together as having lost coverage. It is possible that many of these consumers could be locked out of the market. The current individual mandate and other federal health insurance regulations include grace periods that excuse short lapses in coverage. A similar grace period provision could help avoid losses of continuous coverage that some might view as unfair. More importantly, financially vulnerable households might face long-term consequences if insurance is temporarily unaffordable. Of particular concern, job loss often drives the loss of existing health insurance coverage. For families in such situations, the loss of income combined with the loss of employer-sponsored coverage could cause them to be unable to re-enroll in an insurance plan or lead to a sizable increase in premiums. While the current individual mandate exempts families with income below the tax-filing threshold and contains exemptions for those with no affordable coverage options, replacement options do not contain hardship exemptions for job loss or other extenuating circumstances. Keeping exemptions for low-income families or those who experience job loss would be a way of continuing these protections. Another concern is whether people have the ability to decipher incentives created by a continuous coverage requirement—and act on them. Ultimately, a continuous coverage requirement relies on a consumer's ability to weigh the cost of purchasing insurance today against the uncertain benefit of greater affordability in the future. Gaps in consumer knowledge could undermine the effectiveness of a continuous coverage requirement. Many behavioral economics studies have found that people are present-biased, meaning that their behavior reflects greater concern for the present rather than future costs and benefits. These studies show that even well-informed people procrastinate when faced with making complex, high-stakes decisions. As an example, research by our RAND Corporation colleagues shows consumers who lack literacy in the basic concepts of personal finance and health insurance were more likely to remain uninsured after the rollout of the ACA. If cognitive and informational barriers to buying insurance are a huge deterrent for the healthy so-called "young invincibles," then a continuous coverage requirement could fail to serve its purpose of attracting the healthiest consumers. Some plans featuring continuous coverage requirements contain a useful policy option—automatic enrollment. By default, individuals would be enrolled in coverage and remain covered unless they actively chose to cancel it. Automatic enrollment has been shown to dramatically increase participation in employer-sponsored retirement plans and could help address the concerns of a continuous coverage mandate. Finally, another proposed change to the ACA would serve to undermine the effectiveness of a continuous coverage requirement. 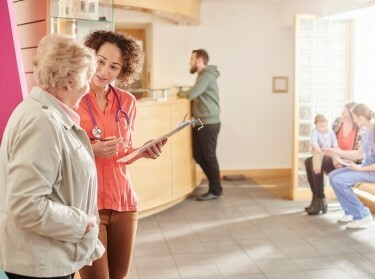 Relaxing “minimum essential health benefit” requirements, which specify that all policies must cover certain types of care, may lead to more narrowly tailored insurance products for particular consumers. While some consumers should benefit from greater individual choice, the introduction of new insurance plans can harm the financial viability of existing plans if they mainly draw healthy, low-cost consumers away from plans with more generous coverage. Eliminating minimum benefit standards could be a particular concern when it comes to a continuous coverage requirement—individuals might purchase bare-bones plans when healthy and switch to more generous plans when sick. Without basic standards for benefit design, a continuous coverage requirement could succeed in attracting young, healthy consumers into the insurance market yet still fail at improving the sustainability of insurance plans that are generous enough to be of value to the chronically ill.
As the ACA has shown, there is no easy way to create a well-functioning insurance market. Even though a continuous coverage requirement works well in theory to maintain a healthy marketplace, policymakers will need to think carefully about how to make changes to the ACA work in practice. Erin Duffy is an assistant policy analyst, Michael Dworsky is an associate economist and Christopher Whaley is an associate policy researcher at the nonprofit, nonpartisan RAND Corporation. This commentary originally appeared on The Hill on January 4, 2017. Commentary gives RAND researchers a platform to convey insights based on their professional expertise and often on their peer-reviewed research and analysis. Maximiliane Hoerl, Amelie Wuppermann, et al.